Accusations of chemical weapons use continues in Syria. Concern is growing internationally about chemical weapons being used by ISIL and other terrorist organisations to launch attacks in the West. The use of chemical, biological and nuclear weapons is often associated with the Cold War between the West and Russia. 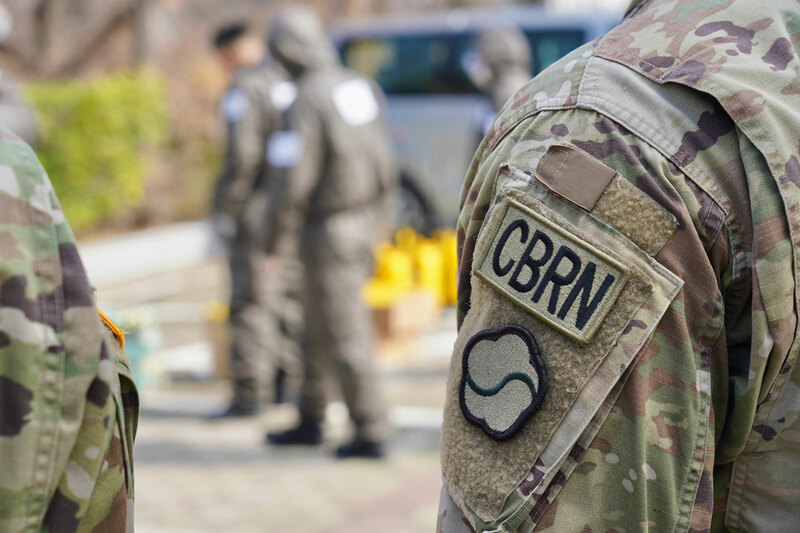 However, the recent use of chemical weapons by the Assad regime and ISIL (Daesh) in Syria has brought CRBN into focus again for modern-day armed forces. The video above shows how NATO has stepped up its efforts to provide chemical weapons training to countries like Egypt, Jordan and Tunisia. On the 11 November, the Organisation for the Prohibition of Chemical Wepaons released a statement condemning the use of chemical weapons in Syria and calling for additional inspections at specific sites. The OPCW-United Nations (UN) Joint Investigative Mechanism's third and fourth reports into the use of chemical weapons in Syria found that the Syrian Arab Armed Forces and Daesh were involved in the use of chemical weapons and toxic chemicals as weapons. According to the OPCW, Syrian Armed Forces were involved in the use of toxic chemicals as weapons on three occasions: at Talmenes on the 21 April, 2014; Qmenas on 16 March 2015; and Sarmin on 16 March, 2015. The OPCW says ISIL or Daesh were involved in chemical weapons attacks using sulfur mustard gas in Marea, Syria on the 21 August 2015. Concern is growing internationally about chemical weapons falling into the hands of non-state actors, particularly as a result of the collapse or ongoing conflicts in countries such as Iraq, Libya and Syria. A European Parliament December 2015 Briefing Paper stated that the EU should be on alert for an attack using banned weapons by ISIL or Daesh. The group's next "weapon of choice" could be an Improvised Explosive Device containing chemicals or radioactive materials, the paper states. Wolfgang Rudischauser, director of the Weapons of Mass Destruction Non-Proliferation Centre at NATO's Brussels headquarters has stated that ISIL has acquired the knowledge, and in some cases the human expertise, to use CBRN materials as weapons of terror. According to the European Parliament's paper, ISIL has already used "chemical warfare shells" to attack Kurdish positions in Iraq and Syria. The OPCW has also reported the use of chlorine as a weapon in Syria. Unlike other chemical precursors that are used to make chemical weapons, chlorine, which is readily available for industrial and commercial use, is not a banned substance, although it was used as an agent of warfare in World War I. According to a report by Russia Today, the Syrian Army has accused rebel groups in the eastern part of Aleppo of using mortar shells containing chlorine. The Russian Radiation, Chemical and Biological Protection Forces’ research center is reported to have found evidence that Aleppo militants are using chlorine and white phosphorus. Russia has called on OPCW to send a mission to Aleppo. Given the fierce fighting that is taking place in Aleppo between Assad's forces—aided by Russian air strikes—and rebel groups, it will be difficult for any international mission to enter the area to ascertain the claims and counterclaims regarding chemical weapons use there. Following the chemical weapons attack, which took place near Damascus on the 21 August, 2013, which saw Syria sign up to the Chemical Weapons Convention, 1,300 tonnes of chemical agents (mostly precursors) were destroyed aboard the container ship, MV Cape Ray. Although 192 states have signed the CWC, it has not been signed by Egypt, North Korea and South Sudan. Israel has signed the CWC, but has not ratified it.